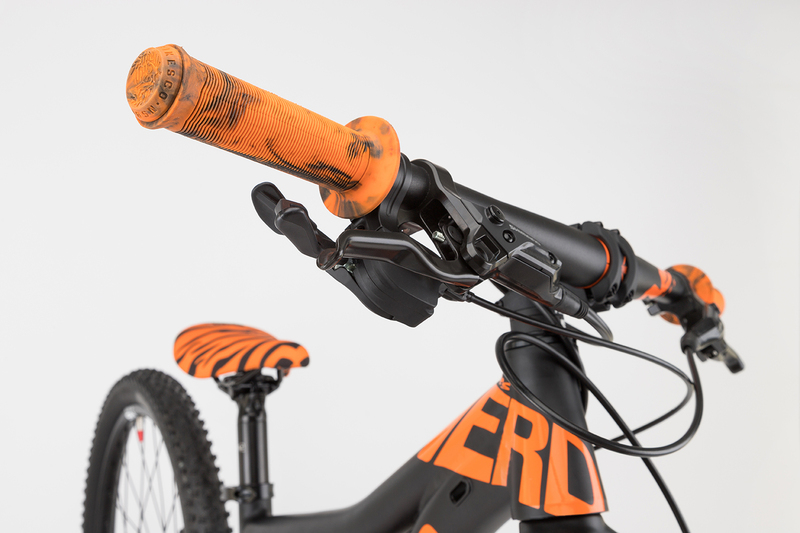 The Nerd JR is a the ultimate kids mountain bike. 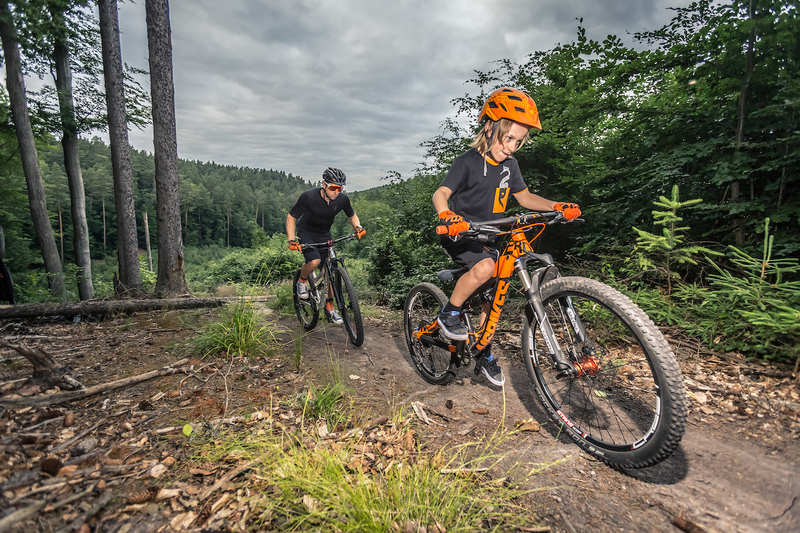 With 120mm travel front and rear, 24” wheels and the option to upgrade to 26”, the Nerd will last for years and handle any kind of riding. 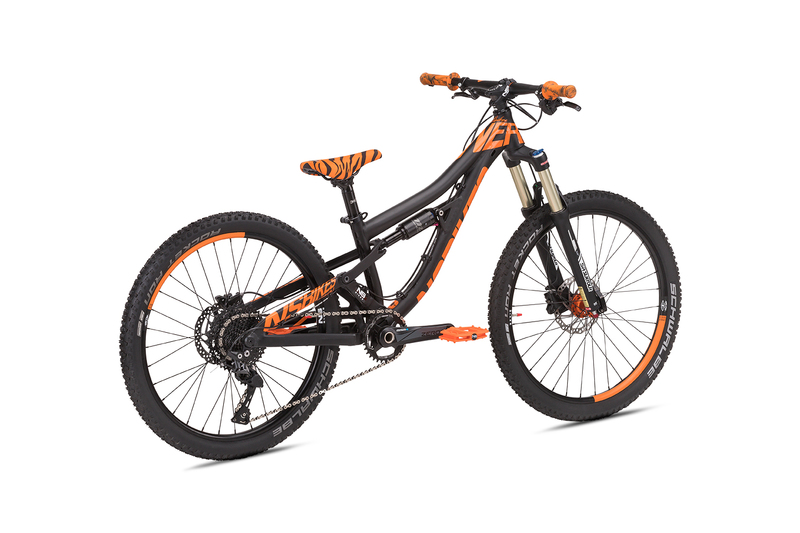 Lots of effort has gone into dialing this bike - it's not just addition to the range, like many other kid\\\'s bikes. 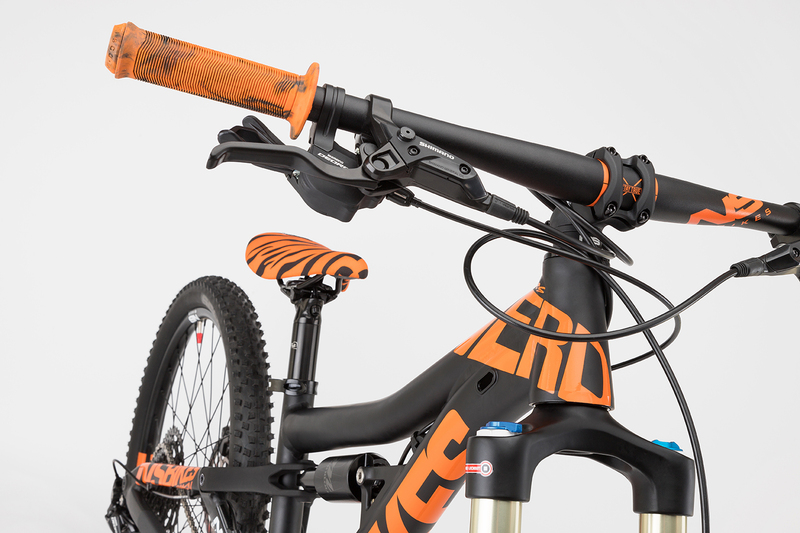 We took this project very seriously. 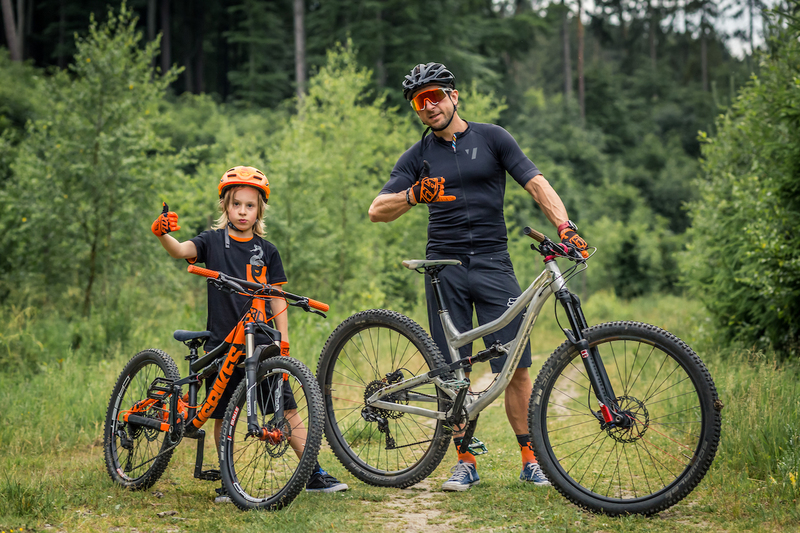 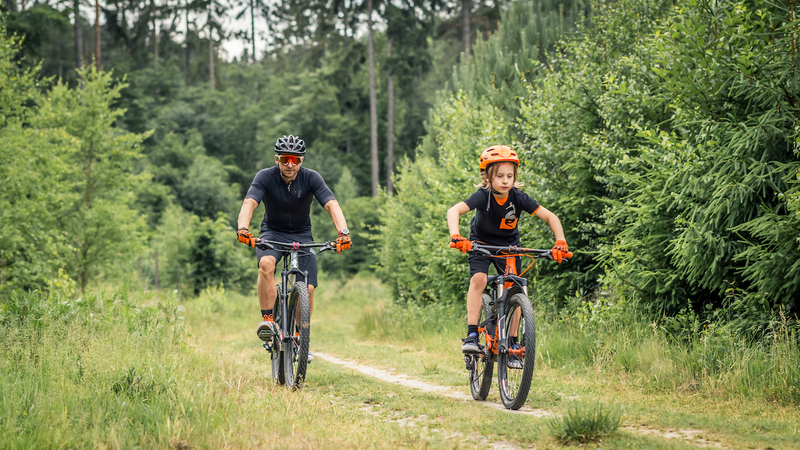 Our goal was to make it capable of growing with the child and making it suitable for many different types of mountain bike riding - anything from XC to freeride. 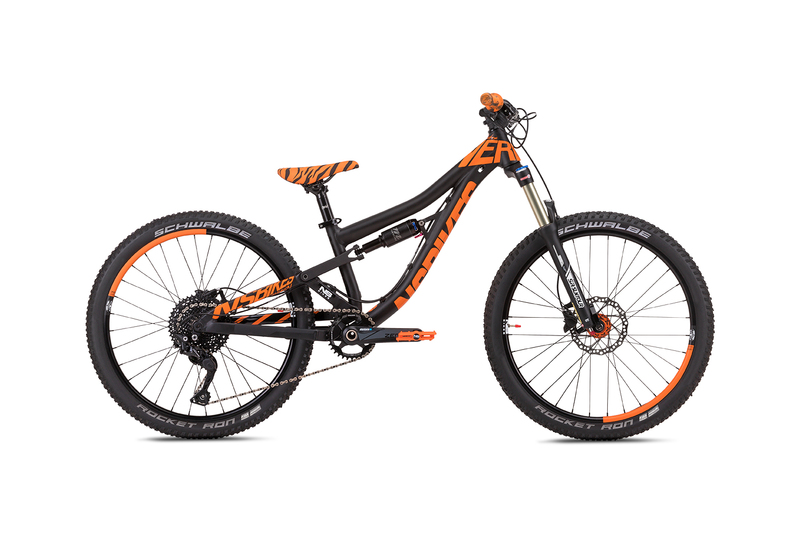 One of the key features is the possibility to upgrade the bike to 26” when the time comes. 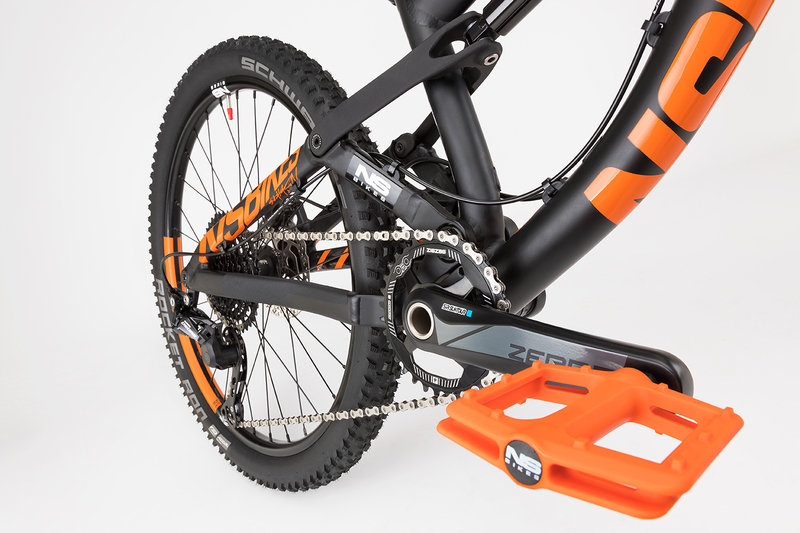 After the wheel swap the bike still retains correct geometry thanks to the set of offset shock bushings that are included. 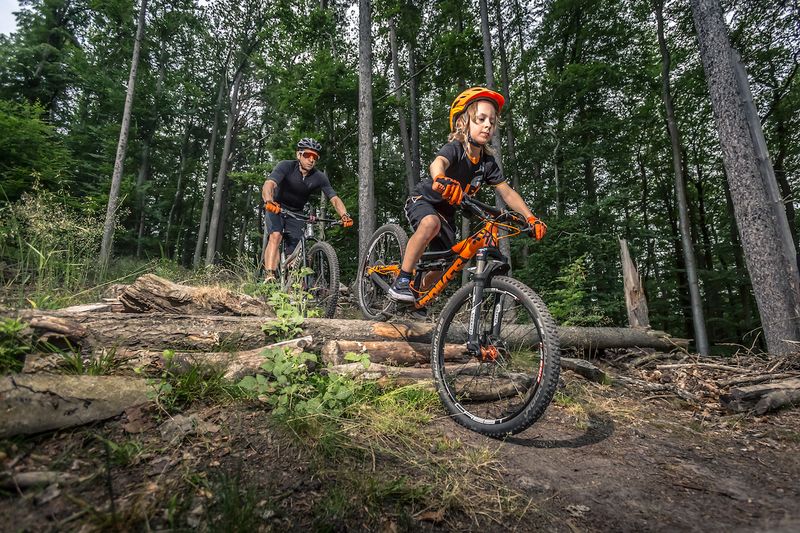 The lowered BB and slacker head angle optimize the handling of the bike for bigger kids (that will most likely will ride faster and more aggressively). 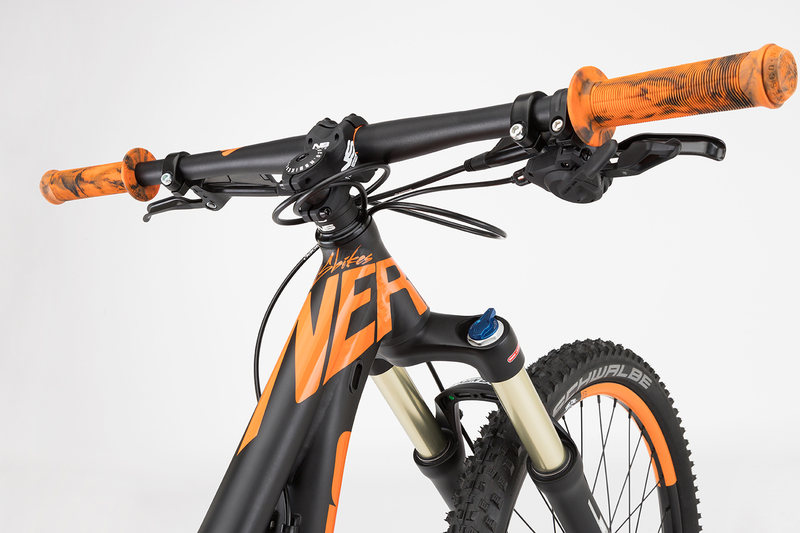 The cockpit has lots of adjustability meaning it can be set up to fit the size of the rider. 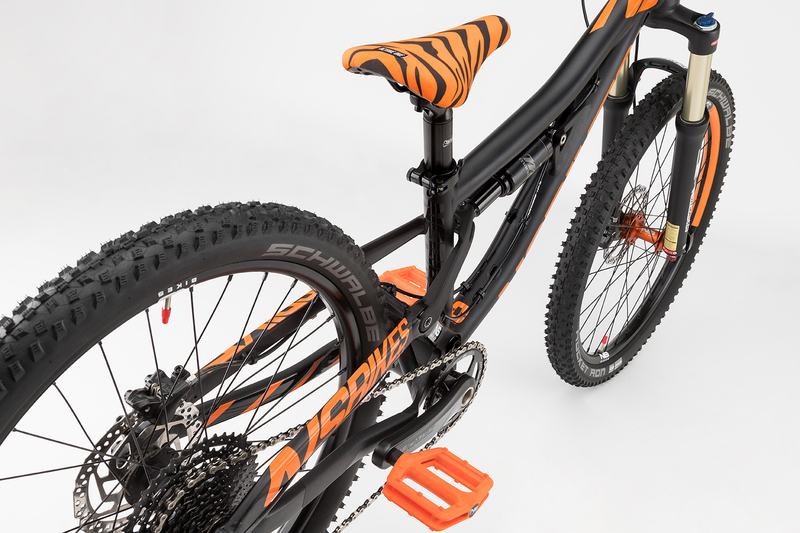 Developed and tested by the NS Bikes founder and his son, this is really a dream kids bike. 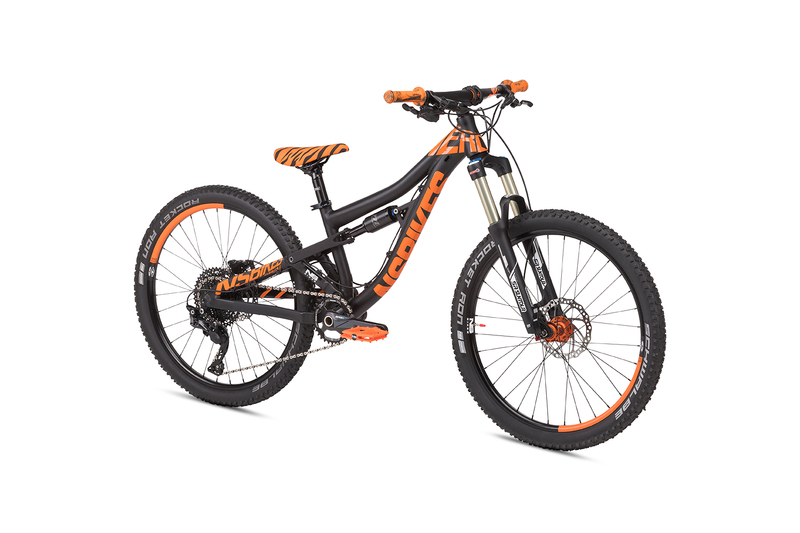 You would be amazed to see just how stable this bike is and how it can climb and descend on super steep slopes.